We are happy to announce the list of accepted workshops and symposia for CHI 2019. At the Conference: Accepted workshops with a minimum of 10 registered participants (in addition to the organizers) will be held on 4-5 May 2019. We invite you to submit proposal for workshops at CHI 2019. Workshops are a gathering place for attendees with shared interests to meet in the context of a focused and interactive discussion. They are an opportunity to move a field forward and build community. CHI workshops might address basic research, applied research, HCI practice, HCI education, new methodologies, emerging application areas, or design innovations. Each workshop should generate ideas that will give the HCI community a new, organized way of thinking about the topic or that suggest promising directions for future work. If you are working in an emerging area in HCI, please consider organizing a workshop. Workshops are held the weekend before the start of the conference, on Saturday and Sunday, 4-5 May 2019. A workshop may be one or two days in length. They are scheduled for six working hours per day, with a mid-morning break, a lunch break, and a mid-afternoon break. A typical workshop will have 15 to 25 participants, with a minimum of 10 participants. Workshops are intended to foster discussion and exchange ideas. Because focused interaction among participants is important, participants should have informed positions based on prior experience, as expressed in their position papers. Workshops should not be miniature paper presentation sessions, but focus on community building and communal knowledge creation. Please note that CHI workshops are not classes in which instructors teach content (see CHI Courses for further guidance). Workshop organizers submit a workshop submission package (see below for content and format) to CHI, which is reviewed and selected by the workshop chairs, with input from the workshop committee. Once a workshop is accepted, both CHI and the workshop organizers are responsible for publicizing the workshop and soliciting potential participants. Workshop organizers solicit participants for their workshop through a Call for Participation. CHI will also place a link to the workshop’s website on a page listing accepted workshops. Interested participants in the workshop submit a position paper to the organizers of the workshop. Position papers are statements of interest and/or expertise in the workshop topic, in any format or media as defined by the workshop organizers. The workshop organizers will review position papers using their own criteria, and will decide on the final list of participants. Upon acceptance, the workshop organizers are required to create a website with workshop specific information. They should include the future website URL in the submission. The workshop organizers may decide to cap the number of attendees for the workshop. Should I be submitting to the Workshops, a Courses or a Special Interest Group tracks? Workshops are different to Courses and Special Interest Groups. Courses are delivered by expert instructors, typically with established reputations, teaching people who are new to a topic. Workshops are meetings of experts exploring new knowledge. Special Interest Groups enable attendees with a common interest to meet for informal but facilitated discussions during the main conference program. See Courses vs Workshops vs SIGs for more information. Some workshops have resulted in edited books or special issues of journals; you may consider including this goal in the design of your workshop. Others have created communities that spawned new, more specialized conferences. What to Study in HCI? References: Please add any relevant references using the updated CHI reference format. References must be included within the 8-page limit. This Extended Abstract is the only document from the workshop which will be included in the CHI conference proceedings. Any position papers or other material submitted by workshop participants are not included. Authors are limited to being on 2 workshops proposals. All authors must be listed on the initial submission. After initial submission, authors can be removed but not added. For each submission, one of the workshop organizers (i.e., an author of the PCS submission, and usually the contact author) must be nominated to act as a reviewer for other workshop submissions. Each nominated reviewer will be expected to review approximately two proposals. Carefully consider the length of your proposed workshop – the potential to attract enough of a CHI audience needs to be commensurate with the workshop length. Accepting a 2-day workshop will be judged against accepting two 1-day workshops. Authors should provide a compelling justification for a longer workshop. The workshop needs to take place onsite at the CHI conference. A room will be provided and assigned to your workshop. There are a lot of factors and constraints that play into the scheduling decisions and so the workshop date is scheduled by the workshop chairs and not chosen by the organizers. While mid-morning and mid-afternoon breaks will include light refreshments, lunch is not provided. Workshop organizers should plan on going to local restaurants or other offsite arrangements (Student Volunteers can assist with reservations and recommendations). Outside catering cannot be utilized. The conference typically provides basic supplies such as pens and large paper pads. Workshop Organizers are responsible for supplying additional materials needed. If you have any special arrangements or plans, please check with the workshop chairs ahead of time. The venue restrictions vary (e.g. sometimes you cannot post or hang anything on the walls). The overall balance of topics in the Workshops program and relevance to the main conference theme. The proposed size of the workshop. Whether there is a clear and workable plan for facilitating a lively environment for discussion for all participants, particularly for larger workshops. If multiple submissions are received on the same or similar topics, the organizers may be encouraged to merge them or differentiate them. Submissions should not contain sensitive, private, or proprietary information that cannot be disclosed at publication time. Submissions should NOT be anonymous. However, confidentiality of submissions will be maintained during the review process. All rejected submissions will be kept confidential in perpetuity. All submitted materials for accepted submissions will be kept confidential until the the publication of the CHI Extended Abstracts, with the exception of title and author information which will be published on the website prior to the conference. The Workshop Program Committee is made up of senior CHI researchers who will help the Workshop Chairs select exciting workshops that will move the field forward and build new communities. Workshop organizers will be notified of acceptance or rejection by 28 November 2018. Workshop organizers will have until 12 December 2018 to submit their final workshop descriptions and publicize their CfPs. Workshop position paper submissions should be due no later than 12 February 2019. Final acceptances for position papers must be completed by 1 March 2019. This will give participants enough time for early registration to the conference. Publicize Your Workshop: Organizers of an accepted workshop must set up and maintain their own website in which they provide further and updated information about their workshop. The workshop page will be linked to from the official CHI workshop site. In order to have a successful and well-attended workshop, we recommend that you post your call for participation early and widely (e.g. publicize on social media and on relevant mailing lists, such as CHI-ANNOUNCEMENTS). Solicit Position Papers from Potential Participants: While some organizers may choose alternate formats, a position paper is generally 2-4 pages long and outlines the submitter’s view on the workshop theme and the reasons for the submitter’s interest in the topic. The latest deadline for any participant to submit a position paper should be no later than 12 February 2019. Select Participants : Choose participants on the basis of position papers submitted to you and your goals for the workshop. Acceptances must be completed by 1 March 2019 or earlier. 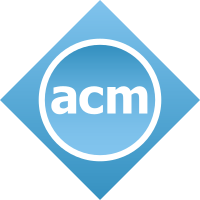 Provide a Participant List: A list of confirmed participants should be sent to the Workshop Chairs (workshops@chi2019.acm.org). Workshop sizes are provisionally capped to 25 participants. The registration system will not allow more participants to register for your workshop. Please contact the Workshop Chairs if it becomes necessary to change the size of your accepted workshop. Workshops that do not attract at least 10 paying participants may have to be cancelled by the Workshop Chairs. Distribute Position Papers and Pre-Workshop Materials: Materials should be made accessible to participants well in advance of the workshop. Accepted Workshop summaries of the organisers will be distributed in the CHI Extended Abstracts, and will be available in the ACM Digital Library up to two weeks prior to the first day of the conference. The workshop organizers are expected to facilitate discussion, help maintain productive interaction, and encourage participation. The emphasis should be on group discussion, rather than on presentation of individual position papers. Diversity of perspectives should be encouraged. This fee waver can be given to any workshop attendee – the workshop organizers can decide. All other organizers, invited speakers, panelists, and participants who attend a workshop must pay the workshop registration fee. In addition to the workshop fees, all workshop attendees (including organizers whose workshop fee has been waived) are required to register for at least one day of the CHI conference. Some weekend meetings will fall under a new type of interaction called Symposia. These meetings are invited to participate by the conference chairs, and this is not a venue for open submission. If you are a meeting that falls under the Symposia umbrella, the way to submit your materials, which should match the Workshop format, is to submit your materials to PCS (by the same deadline as the workshop proposals). If you have questions about whether your meeting is being considered as a Symposium, email the chairs at the address below. Symposia are intended for larger meetings that are persistent features of the CHI conference. If you are interested in being considered for a Symposium slot in the future, email the workshop chairs (workshops@chi2019.acm.org).